This study tested two different approaches to teaching key phonological awareness skills and concepts to kindergarten students in SD #42. 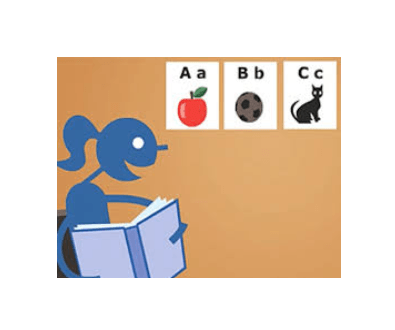 Based upon early literacy research, the intervention was designed to expand the repertoire of instructional options available to kindergarten teachers. Two parallel but different series of lessons were developed in which a sequence of critical phonological awareness skills was systematically and sequentially taught in a developmentally appropriate game-like manner. One approach emphasized teaching phonological awareness through oral activities and games which were not linked to specific texts, although did involve letter-sound correspondences. Participating teachers all reported having taught phonological awareness skills and concepts in this way previously, but not in such a systematic and sequential way. The second approach emphasized linking the phonological skills and concepts taught to the act of reading connected text. Teachers were provided with scripted examples linking every phonological concept taught to a portion of a specific book. This was a new instructional method for all teachers involved. The study included morning and afternoon kindergarten classes in four schools serving middle to lower SES catchment areas. The participants (n=122) were students attending these eight kindergarten classes, with the exception of 7 students eliminated from the study because they were already reading. Each teacher administered the text linked instruction to one of her classes and the oral instruction to the other, in this way serving as her own control, and eliminating potential teacher and school effects which compromise the validity of the results of classroom-based research. Groups were counterbalanced to control for the potential effects of morning or afternoon instructional times. The fourteen-week intervention period lasted from February to May 2002. Three weekly lessons taught collaboratively by the classroom teacher and the learning assistance teacher targeted a different phonological concept each week. The first lesson introduced the concept to the whole class. In the second lesson, students practiced the targeted concept in small, homogeneous groups. Embedded at the end of these small group lessons was an assessment activity to determine students’ understanding of the concept taught. The third lesson was delivered to those few students identified in the assessment activity as being most in need of more intensive instruction in the targeted concept. All students received a total of approximately 9 hours of instruction, while at-risk students received up to 16 hours. Discover more Research Projects in Education. All students in the study were tested immediately before and after the 14-week intervention. Maintenance tests were administered the following year, as students were finishing Grade 1. District testing occurred concurrently with posttesting and maintenance testing. Experimental students’ data were disaggregated and compared to district averages at these two points in time. As a result of the program’s apparent efficacy, other interested kindergarten and learning assistance teachers were in-serviced. Links to Literacy was implemented in approximately two-thirds of the district’s kindergarten classes in the following year, with most teachers using the text linked approach. 1. Will explicit instruction in phonological awareness embedded in the context of small group shared reading result in increased achievement over explicit instruction in phonological awareness taught in a purely oral context? 2. Will student achievement in one or both instructional programs be measurably higher than district averages? 3. Will any measurable effects be maintained by the end of Grade 1? 4. If successful in the first year, can one or both programs be effectively implemented at the district level the next year in order to raise the level of literacy skills across the district? ♦ Statistical analysis of the posttest data showed that there were no significant differences between the average scores obtained by the text linked group and the oral group on any of the posttest measures. Overall, both methods of instruction were equally effective. ♦ Comparisons between the 122 research students and the other 787 students in the school district at the end of kindergarten show that mean scores on all subtests given to both groups were higher for the research cohort. Mean differences between groups were all statistically significant on all posttests taken by both groups. ♦ When scores on district reading and spelling tests at the end of Grade 1 were disaggregated, students in the research cohort finished Grade 1 at higher average levels than their peers, with these differences being statistically significant. ♦ After implementing the intervention in many of the district kindergarten classes, district averages on all subtests rose to almost the same level as those achieved by the original research cohort the year before. In summary, students participating in either version of Links to Literacy outperformed other students in the district on all measures that were commonly tested, which included many of the same phonological awareness tasks, all of the same letter and sound tasks, and the same spelling and reading tasks. Research students continued to maintain higher average scores on the reading and spelling tests given across the district at the end of Grade 1. As a group they performed above average on standardized reading tests. Participating teachers identified the following aspects of the instructional delivery system as being important. ♦ Teaching time was devoted to phonological awareness on a regular schedule. ♦ Students were taught in small, homogeneous groups. ♦ Assessment was embedded in small group lessons, enabling teachers to know which students needed extra instruction in which skills and concepts, and to maintain flexible groups based on students’ skill acquisition. ♦ The intervention made it very clear which students were at-risk. These students continued to receive more intense instruction and targeted support from both their classroom and learning assistance teacher. ♦ The approach allowed for differentiated instruction in the small group lessons, accommodating those needing basic instruction and those needing enrichment. ♦ Students having difficulty acquiring skills and concepts received up to seven extra hours of small group instruction. ♦ Classroom and learning assistance teachers collaborated in teaching the program. There was agreement that this was an effective instructional approach. 1. Frequent assessment and regrouping of students appears to be necessary for early literacy instruction to be effective. Through this process, students at- risk for reading acquisition difficulties become apparent. 2. Intensive pull-out sessions may be necessary for some students to master critical early literacy skills and concepts. 3. Teachers may need support in the form of in-service and coaching in order to deliver new instructional programs effectively. 4. Collaboration between classroom and special education teachers appears to contribute to student success. 5. It may not be as important what approach to phonological awareness instruction is used as it is that the instruction is explicit, systematic and sequential.